Good page load time, reliable uptime and knowledgeable live chat customer support are the most important factors when choosing an affordable host. You’ll need a cheap web hosting that is both reliable and fast. How do you find something like that? Luckily, we’ve been reviewing and testing different web hosts (across all price ranges) for 40+ months and have compiled a comprehensive list of the best hosting companies on the market. In this guide, we will help you sort through the masses of providers to find an affordable hosting company that suits your needs and budget. Out of all the hosts we have reviewed, HostGator Cloud is by far the best performing host overall. They offer reliable web hosting for relatively cheap prices ($2.99/mo). This only applies for 1,3 or 6 month plans, so it’s wise to get a 24 or 36-month plan to avoid hefty renewal prices. Their last 12-month uptime is 99.97% with only a handful of downtime. Another good thing about HostGator Cloud is that they’re really fast – average website load time is 419ms. They offer a good (and knowledgeable support) with an average response time of just 3 minutes. 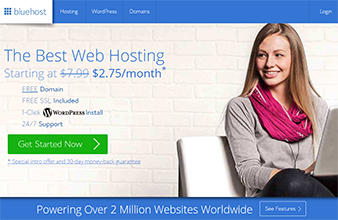 The web hosting package for HostGator Cloud (NOT HostGator shared) is normally $13.99/month. However, for a limited time, they are offering all hostingfacts.com readers a HUGE discount which comes with only $2.99/mo to $5.18/mo depending on the length of your subscription. Just use the code HOSTINGFACTS at the checkout. Bluehost currently hosts over 2 million websites. It’s by far one of the most popular, inexpensive, shared hosting options available – for a reason! They are well used (and recommended) by a lot of webmasters and bloggers. They offer great uptime – 99.99% – and their average load time based on the previous 10 months data is 425ms. Compared to another cheap host -HostMetro (1511ms) – your site would be almost 3 times faster! In addition to that they are VERY beginner friendly and if this is your first host, you’ll be able to get a free domain from them, too. Lastly, they also offer 24/7/365 live chat to all of their customers. The biggest disadvantage in their offer is that the cheapest plan only comes with 36+ months commitment. If you decide to use their services for less than 12 months, you’d need to pay $4.95/mo). On the third place, we have Hostinger. While being one of the cheapest web hosting providers, they seem to provide awesome loading time, but an area where previously Hostinger failed us was uptime. They usually give solid numbers, but within the last years, December proved to be a really tough month for them – providing our website with only 99.04% of uptime. Fortunately, it has become better since then. However, when it comes to speed – it’s a different ball game. Hostinger is the second fast web host we’ve reviewed to date – at 385ms. Low prices, great load times and hopefully an improvement on uptimes – is what makes them a great cheap option. Uptimes for other months have actually been good, but one month can bring the overall stats down. Cheapest plan will cost you only $1.45/month (48-months). They also offer 24/7 Live Chat via their website which is a solid perk to have. Until the end of June, they offer a discount which brings the price down to $0.80. WestHost has posted respectable uptime (99.93%) and speed (893ms) over the past ten months. It’s not the best in either category necessarily. A few rough months (December 2017 for uptime, and September 2018 for speed) have brought them down to slightly under industry average in both categories. $1.99/month for the first year! That’s unbelievably low. You’d have to signup for at least three years with most other hosts to get anywhere near that. Just keep in mind that the renewal pricing will increase to $8.00/month. So be sure to lock-in that low rate for as long as possible. They’ll even migrate your site over for $0, too. At $1.99/month, iPage will cost you less than a Starbucks coffee. Is it too good to be true? Any service that cheap is bound to come with its challenges and performance issues, and sadly, iPage is no exception. While they do have a respectable customer service team in place, neither the that nor the low price can make up for the slow load times and inconsistent uptime. Within the last 10 months, they’ve managed to achieve an uptime of 99.98% and an average load time of 820ms. As you can see, iPage falls short on the load time. We think they’re just overselling their services at such a cheap cost. There’s also a ton of negative reviews on the internet about iPage so you should be aware of their disadvantages before making any commitments. DreamHost will only set you back $2.59/mo if you purchase the annual plan. And that’s a decent value when you consider what you’re getting in return. Uptime has been consistently hovering around 99.95% for the entire ten months we’ve been monitoring them. A few bad months last Spring brought that average down. Otherwise, they might even be higher on our list. Page speed has also been solid. Their 709ms average is well above the industry average (890ms). So you’re not taking a huge performance hit with this ‘cheap’ web host. Their customer service department was even speedy, hopping on our live chat session in under five minutes. 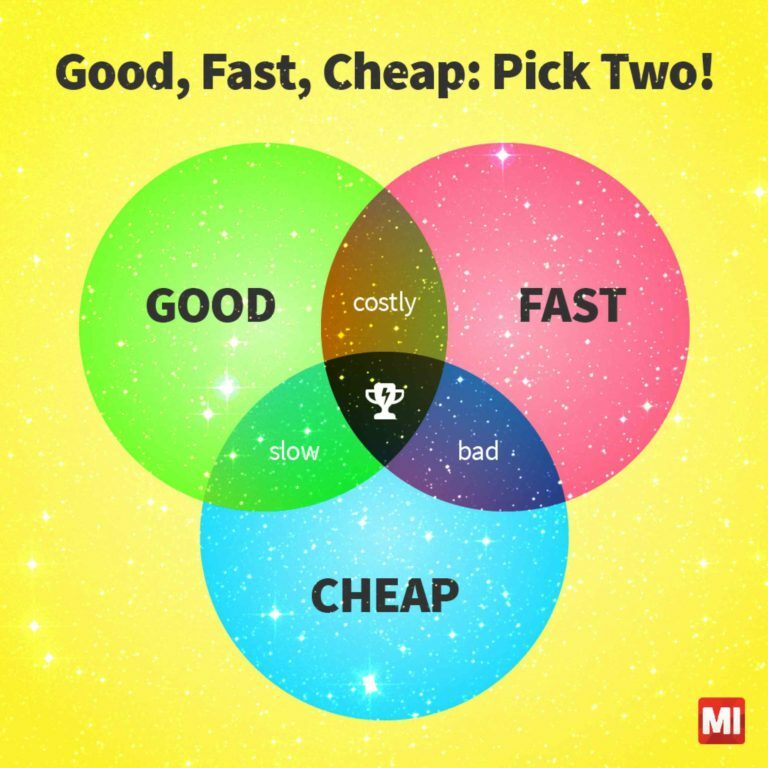 It’s not the cheapest option on this list. But it is a good all-around host that doesn’t cut corners. The final web hosting service on our list is in the last place for one reason and one reason only – uptime. Over a period of 10-months, the average uptime of WebHostingPad is 96.73%. What does it mean? To be brutally honest, it means more than 200 hours of downtime per YEAR. Another concern is their load time. Want to know the average? It’s 1,423ms (again, one of the worst we’ve yet to see after reviewing nearly 30 web hosts). Yes, they are super cheap and provide an alright customer support, but if you ever truly care about your visitors, please avoid this hosting provider! Review Verdict: Does Price Matter? Just because you don’t have a big budget doesn’t mean you should settle for a low-quality web host. There are dozens of options on the market that strike the perfect balance between affordability and quality. With a little bit of research, you can easily find a provider that matches your needs and your budget. Which cheap hosting providers have you used? Would you recommend any of them? Let us know in the comments below. We can also test and try cheaper hosts, so shoot your suggestions to us :). My thoughts: iPage is cheap, yes, but it’s just one of the worst hosts I’ve ever dealt with. My site was offline 3 days (how they run business like that) and no-one answered my tickets. I have also used bluehost and I can personally say they have great service and support. I haven’t tried iPage or hostgator so I can’t say much about them. I have also used hostpapa because I needed a Canadian server, and it was good with a decent price, but in the end I preferred bluehost. Have just finished 12 months hosting with Hostpapa, and note the “finished “. Whilst they are excellent in Australia with their help desk, and the first 12 months offer was excellent, when I received the renewal notice I was absolutely gobsmacked at the renewal prices. Expected to be a bit higher, but 3 times higher than original was a bit too much. Hence I am looking for another host right now. 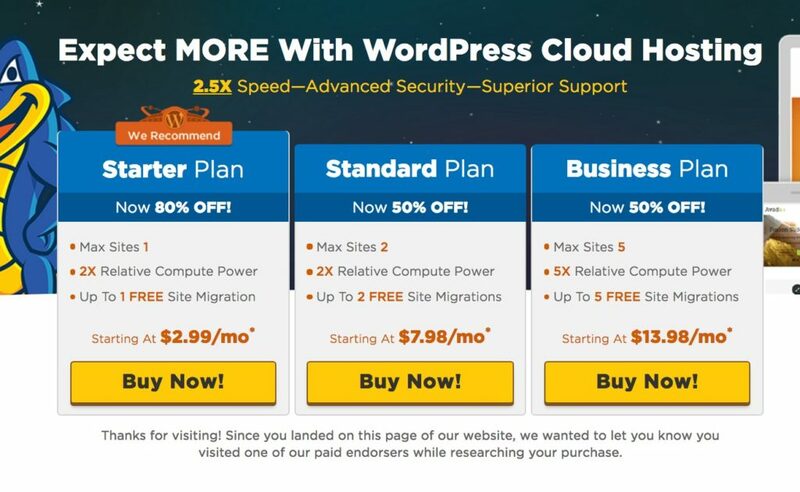 Cloudways cheapest managed WordPress hosting plan is 5.00 per month. Thanks for this helpful review. HostGator seems to be pretty affordable and reliable, I think I’ll go that route. Thanks for the great review 🙂 HostGator Cloud seems good. Transferring my other websites over was a breeze. Did I mention a RMS Server is Included for Dolphin websites? Hey Valentinez, $9.85/mo is pretty expensive. Hence we haven’t reviewed this host. Hi Valentinez, no offense intended but the post seems to smell of some kind of promotion rather than review, just to point out that before publishing something you know what you wrote and comments such as “oh and did I mention….” suggest more or a promo conversation. I too, have been with TMDHosting for a little over a year. Their support is one of the best I’ve experienced in my 20+ years. Plus $9.85 per month for unlimited domains, free SSL and 24/7 quick support turn around is a very competitive and fair price. Ken – I’m looking for a new website, closed GoDaddy after one week. $8.95 a month is very steep for me but I see on their site they are having some sales now. You feel good about their service? OH THANK you for posting that. I just had a nice long chat with Peter over at TMDHosting. I’ll be moving my site there later today. (Gotta clear out a ton of old stuff first.) Fantastic! Excited now. I don’t know where you got all the information, but I know many cheaper hosting providers way better than HostGator. HostGator has awful reviews on Trustpilot, while Fastcomet has splendid ones. You review doesn’t reflect the true experiences of users apparently. Also, why didn’t you mention Namecheap? 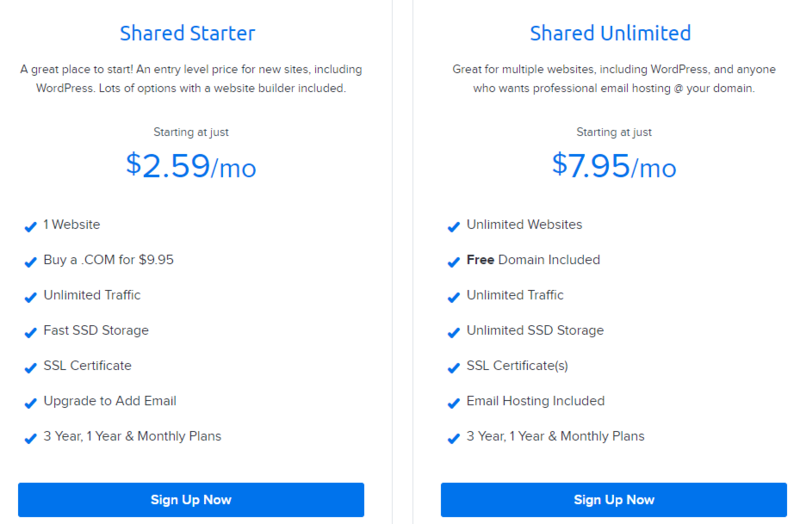 The offer SUPER cheap hosting (like 17 dollars a year if you include a domain name) and have nice reviews, better than HostGator for sure. can’t agree more on that. I used to use Hostgator, but could not bear their service anymore and moved to others. Fastcomet has decent pricing, and pretty good domain registration, but their customer service is sorely lacking. For three days, I have been attempting to get FTP working, and they keep telling me that it’s “my settings” that are the problem. I’ve used six different FTP clients, using the exact same login information they have been giving me, and every single one of those six FTP clients is giving me the same exact error message: Login Failed: Password or Userid is incorrect. No one in customer support has acknowledged that fact, and all they keep saying is “we can’t replicate the problem” so “try another FTP client” and “your settings are not correct”. I think they’ve given me the wrong password, but they won’t do a single thing to try to troubleshoot it. If I had to do it over again, I would look elsewhere. Yes you can. Bluehost especially friendly hosting for WordPress. But, prepare for the expensive renewal prices next year if you join Blue Host. 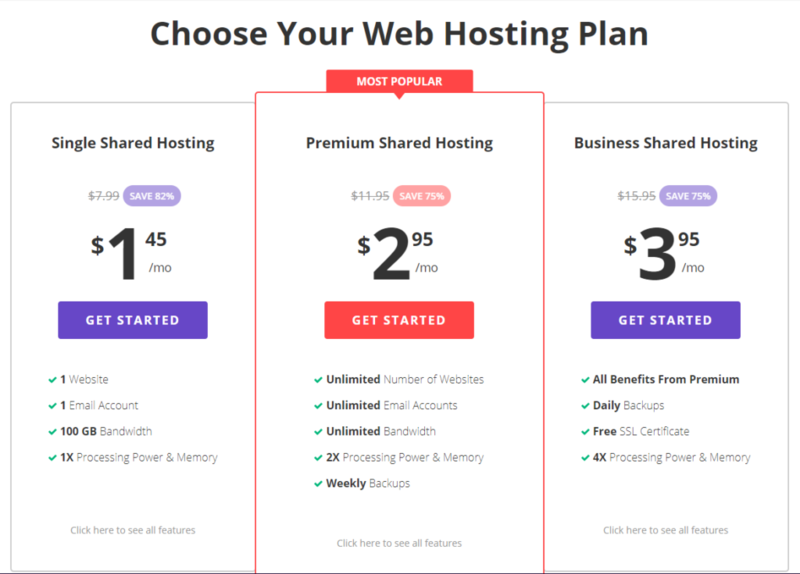 In my opinion, most of these web hosting companies are expensive. But, at least they have enough benefits and provide great customer service. So, I guess that the more money we spend is worth the prices. BlueHost is an absolutely terrible host, I’m astonished anyone would put them on any list these day. I just switched from BlueHost to A2Hosting. BlueHost not only had terrible, and I mean TERRIBLE server response times, they had multiple unlogged downtimes daily. When I contacted “Technical Support”, I was told these outages were “probably server glitches”. I then asked if these glitches were being looked into and if the server was producing error logs of these glitches. They told me no the servers are not logging these “glitches”, that all servers have these glitches and its not something that can be fixed. I was dumbfounded at that conversation and immediately canceled my hosting. I would highly recommend avoiding BlueHost at all and any cost. That being said, I think A2Hosting has been the best Host I’ve used in 10+ years, and honestly HostGator is a close second. While HostGator does have its issues, their customer support, aside from long wait times, is superb to say the least and when it comes for bang for you buck, HostGator is definitely the top contender. A2 is slightly more expensive, but they have lighting fast servers, by far the best response times I’ve ever witnessed. Thanks for chiming in with your review. Much appreciated :). wow, to me bluehost is one of the best hosting provider with great customer support. I have websites hosted on bluehost, A2 hosting, MidPhase, and Hostgator. I agree that A2 hosting is expensive with great service but bluehost ain’t as bad as you painted here. Been using Misshosting for last one year. Its cheap, the live chat service is great almost very prompt to solve the queries. I would definitely recommend it. I have used several hosting services, I started with Justhost which at the time offered something like a 3-4 year package for a reasonable cost but what a stinger when it came to renewal. I was impressed by the usability, tools and response and uptime was great initially. The I tried reg123, what a crock absolutely appalling service, One was ok till renewal. I wouldn’t even go near Godaddy the amount of bad reviews I have come across, I am currently using Hostmetro and 1&1 and both are up for renewal towards the end of this year or early next year. What I am looking for is not particularly cheap but reasonably priced for a long period, sick to death of all the gimmicks for first year then sting you after. The problem is, particularly with WordPress sites once you have set up your site if you don’t stay with the same host you have to start from the bottom when you move and they know this. Hence they promote WordPress. I am sure other people feel the same that if you can find a reasonably priced long term plan or one that does not sting at renewal stage hosting services are far more likely to win business, well from me they are as i prefer not to have to keep moving hosting services from one to another. I’ve moved plenty of WordPress websites from host to host. Never had to do it from scratch when moving hosts. That’s just weird. Thanks for sharing this valuable hosting list. Hostgator cloud is no doubt a perfect one in this list to opt. HostGator excellent customer service? Mate, are you kidding? I just waited 32 minutes on a call to customer service to HostGator… and nobody picked up. Then I waited 26 minutes to initiate a “live chat” which a rep who must have been attending over 10 customers at once. HostGator’s customer service is pathetic. Have you actually tried using it? Great list! I have always found Hostgator to be a great hosting company and at that $2.99 offer that’s a pretty good deal. Bluehost I’ve had billing issues with and iPAGE is not great on performance like you show in your report.Hostinger I haven’t heard of before but based on your review I might try them out as a cheaper alternative for some of my basic sites.Thanks for the information! Hey, you didn’t mentioned if the web hosts bill their clienta on monthly, yearly, semi annually, etc. Thank’s for the article, but what do you think about namecheap . com ? This is really great write-up, hosting provider list for cheap web hosting is quite useful to choose the best one. I want to know what do you recommend? Can someone share what is the cheapest in the long -run? All of these just have a offer that will last max 3 years and then after that the price spike is 80% on all of them. I don’t think ( nor do I know) if you can jump from host site to host site taking advantage of their sign up offers of $3 a month but it looks like there is no way to avoid paying $9 a month for the lifetime of my website! Cheapest in long run is probably InMotion (See if their discount is still valid). Those are good review but I have my reservations. For me, you cannot quantify the price of a host by the initial payment made just to lure customers. The actual pay is in the renewal. Secondly, speed and security should be paramount for any web master and as such it should be greatly considered which you actually did but ignoring hosts that are better in the industry. Maybe you should try checking out Fatcomet. I am not here to market for the company but odds are they are favourites, for me. I’m currently using Inmotion for my business blog and Fatcomet for another blog. I joined inmotion from Fatcow and it was like from frying pan to fire. My site was always down and the tech guys will keep on telling you the same thing and never coming up with solution. I got tired of writing them. My biggest mistake was paying for 24 months upfront. Yeah they are all cheap on the “first year” but soo expensive in the succeeding years…. they do have some affiliates that is why they are promoted well by bloggers…. Just go for those transparent hosting co that offers as is where is plans. I see Hostinger is second on this list, I have used them for 2 years. Altho I have had my share of problems, mostly due to my own lack of knowledge running a cpanel etc… they have been very helpful when I have needed them, and have also compensated me a couple times for any inconvenience I may have experienced with extra months of hosting tagged to my account. I run 3 full shops with blogs on WordPress, and a main website with blog, on one of thier shared premium hosting plans. Some of these hosts are the same company. JustHost, BlueHost. and Host Gator are I believe the same Company. They’re not same “company”, but they all belong to EIG, yes. I moved all my sites to siteground.com. Also cheap initial deals. Response time is *much* better and the customer service has been great. Shared hosting is cheap for sure, but not safe and definitely doesn’t have good performance. A better alternative is to use vps that are affordable. You get better performance and dedicated server. If you don’t know how to setup a vps, then you can use PHP hosting platform, like Cloudways, that automatically setups a server of your choice with OS, stack and PHP already installed on it. What would make your reviews helpful is to know what your cost will be after the initial period. I’ve had a few in years past where my fee like it did with cable and satellite companies got jacked up, and up, and up into the realm of the ridiculous. Further, in two cases 1.5 decades ago, my credit card continued to be billed undr varying excuses and delays in resolution. Since my card company proved unhelpful in stopping it as well, I had a single option. I ceased subscription to the card. So, it wouldbe helpful if you could add two areas of foci. One, how much do post-initial fees increase. Two, integrity of the business, specifically customer service, and specifically again when a customer opts to cease service. I am looking for shared hosting. Bad experience with Hostgator & iPage. Could you please suggest me any good shared hosting. Hello, Deepak. I have visited your blog. Seems you use Let’s Encrypt for your site’s SSL certificate, and you use Godaddy. May I know whether or not Godaddy charged you to install a third-party SSL certificate for your Godaddy-hosted website? How do you measured these load times? And that does that mean, load time of a page? It’s load time when you page gets fully loaded (we’ve default WordPress themes installed on all of them). Hope this helps. Great article! The list really helps to choose a best suiting web hosting provider. Just a quick note, if you have any problem with availability, stability, or performance you can use a tool like https://cula.io/ that is completely for free up to 20 urls and 5 servers (APM), and can provide an evidence about your provider uptime quality. Had a WP site with HostGator 4 years ago. Tried to cancel it and it took 4 months. The pressure they put on you is incredible but I still wanted it canceled. The guy said he did and actually lied over the phone and I was billed the next month. So I called again, yep, missed the cutoff so I was billed again. Then a “glitch” meant I was billed again. Just be prepared and make sure you get everything in writing when you cancel and then call back to verify. I was canceling for my own reasons not for a HostGator issue. For me, IPAGE is right option because of their cost and unlimited space and bandwidth. Thanks for the other listings too! HostGator is a fraud. It says $2.99 a month but the little star says “Only the first month” which isn’t really $2.99 a month is it? The bait-and-switch isn’t honorable. Thanks for the information. It seems like they offer $2.99/mo for 6 months now. Can you see this? Very misleading article. All of these are promotional rates that skyrocket at end of term. Many (if not all) web hosting providers will have higher renewal fees. That’s unfortunate. I agree, we don’t like them either – but that’s the web hosting business. My tip: You can always cancel before the renewal starts and move onto another host (migration is often free). So which one should I go for? I need one that has an affordable renewal rate. Hostinger seems to have quite “OK” renewal prices. I am really fed up with GoDaddy due to their aggressive prices and upsells, let alone the terrible load times. I am looking at greener pastures and one particular statistic called my attention: the very high number of last and gained websites GoDaddy and all other providers presented in 2018, in the magnitude of the hundreds of thousands! The only explanation is that people select the introductory prices and then move to another place once the renewal time takes over. Is that plausible? Some may do so, some will stick with the higher renewal prices. Hosting industry standard seems to be higher renewal prices and lower intro prices. Hi, What is the difference between “Cloud Hosting” and “Shared Hosting”?